After checking out the late opening and disorganized merchandising stand after 3pm I secured the "skipping girl" t-shirt then returned home to pick up my 2 teenage daughters (first Stones gig for the youngest) and wife for pre-show dinner in the city. Compared to Adelaide it was very low key walking down to the arena and I gather people must've been ill informed by Ticketmaster as to what time the Stones were actually coming on given there was no support which was disappointing as I'm sure there would be many young Melb bands who would've played for free before the Stones! Pre-concert music was the same as Adelaide: Amy Winehouse & Black Keys at a surprising low level which was odd compared to the very loud music played between quarters at Aussie rules matches at the MCG. The Stones hit the stage just after 8:30 I jumped up from my seat on the upper Ronnie side and then was surprised when I looked around and people were still in their seats!! What a contrast to Adelaide where everyone was out of their seats in the first minute and most stayed that way. I think there was an air of: "Well Mr Jagger and co entertain us" as some people sat cross armed watching. Sure they might have been engrossed in the spectacle unfolding before their eyes, however I was surprised at the lameness of the crowd. It might've been as Mick said "hangovers from cup day". JJF was fast and furious and I love that the guitars are all up in the mix. Sound was good from my higher seat and visibility was excellent as I could see across the entire stage and the tongue pit. 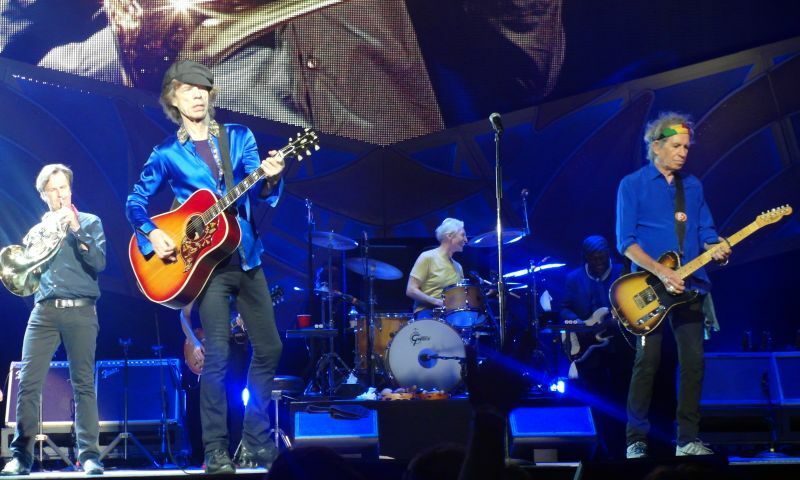 YGMR was next up and always like hearing this song live but the crowd remained unmoved... keep at 'em Mick I thought. IORR was played with that Berry style that someone had mentioned from the European shows. TD next was good and Wild Horses was lovely which Mick mentioned was appropriate given that 2 horses died after running in the Melbourne cup the day before. Doom & gloom went through without any acknowledgement from the crowd but I loved this version nice and gritty, a great Stones rock'n roll song which one day will be remembered as one of their better latter day recordings. 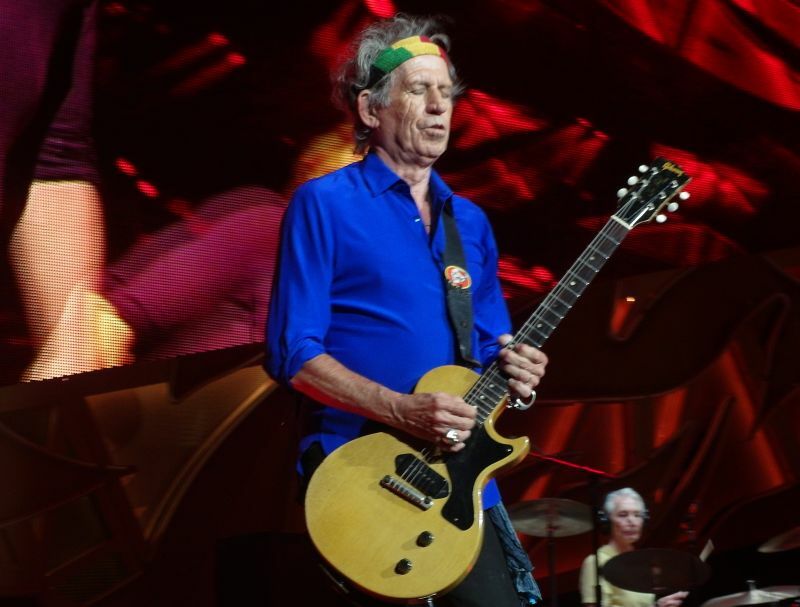 After a mixed Keith set in Adelaide last night he was on fire remembering more of the words for both songs with the usual wry banter from Keith: good to be here......anywhere etc. 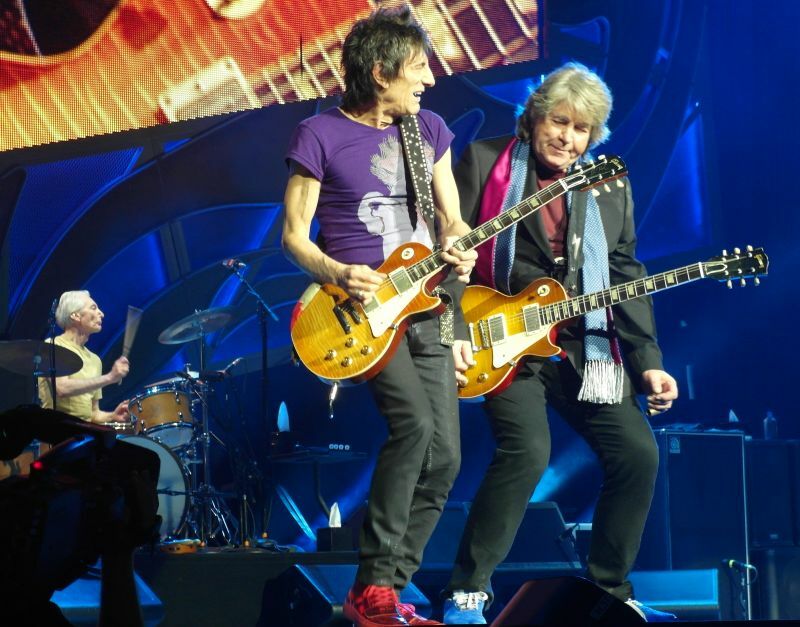 MR with Taylor was superb and my daughter was pleased to see Mick playing great harmonica and Mick T on stage as I had briefed her on how fitted in to the Stones. 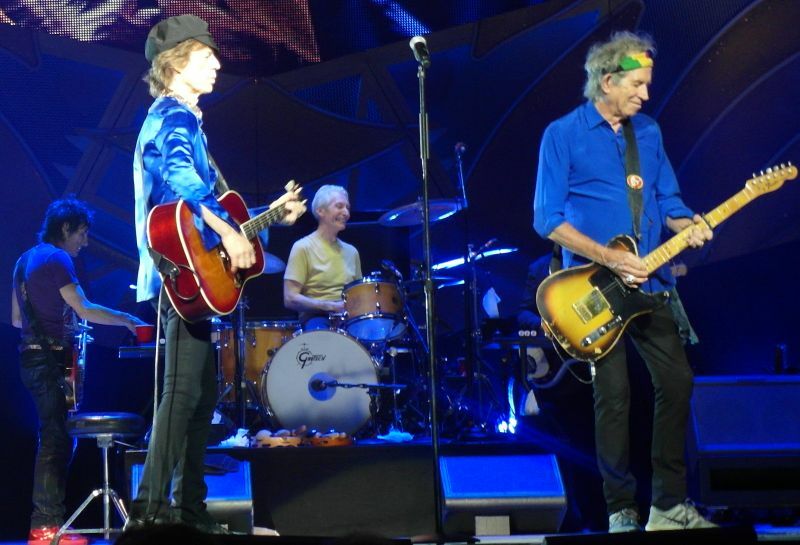 Miss You was and is now the weakest spot in the set - I took a break and noticed the poor bastards standing at the outside window listening....you gotta do what you can to hear the Stones anywhere! I don't want to go about the set list but maybe a couple of others could be slotted in and out with TD & MU like when the whip comes down or worried about you. 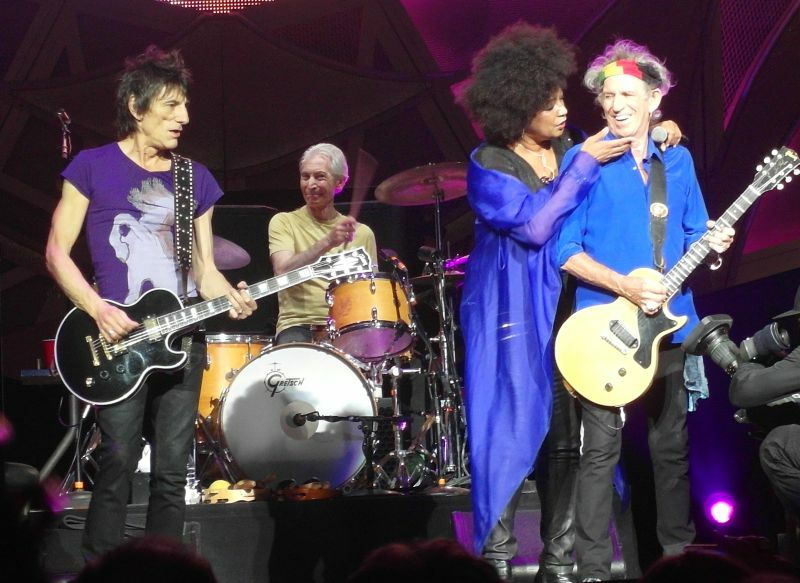 Gimme Shelter sounded great but Lisa's vocal spot could've been louder but still spine tingling stuff. SMU &SFTD as usual were great to hear but the highlight was this version of Brown Sugar it seemed longer than normal and the twin guitars were really driving it hard. 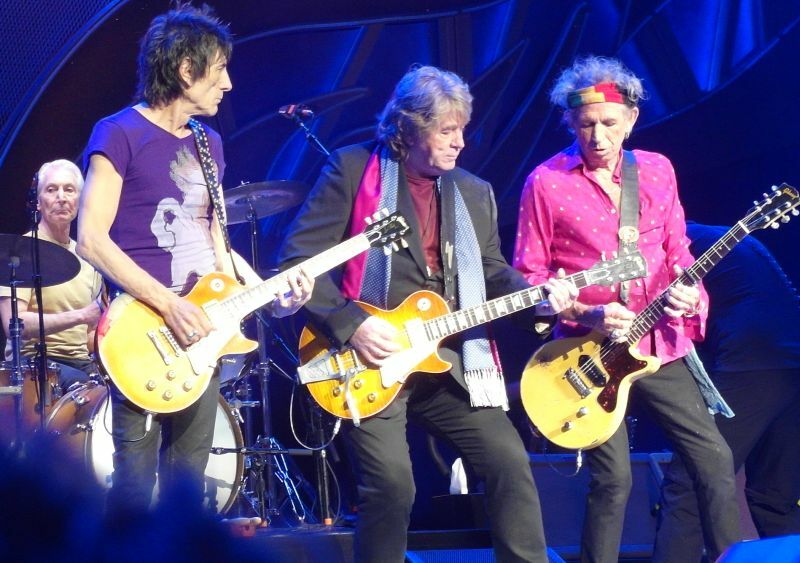 Maybe Mick Taylor could bring his acoustic guitar out for this instead of Satisfaction (more about that soon). During the night Mick made a couple of wisecracks about living in Melb as a barista, the Melb cup and certain local (overexposed false) identities.....! YCAGW intro was fluffed by Mick as he was too busy getting his hat right, another great local choir stunned the crowd into a bit more animation......you've nearly got 'em Mick. I enjoyed this more than the previous Melb arena show in 2006 as I mentioned earlier they sound like a guitar based band again. After seeing them in Adelaide and Melbourne they appear to be having lots of fun and are playing exceptionally well. Roll on Hanging Rock for what could be my last ever Rolling Stones gig in Australia maybe the outdoor crowd will be more enthusiastic as they begin to realise this could be the Last Time. Some say the fans in Australia are not wild, they say the fans sit down and they are not so excited. I don't think so... Rod Laver Arena in Melbourne city has been "home ground" for The Rolling Stones for more than a decade. 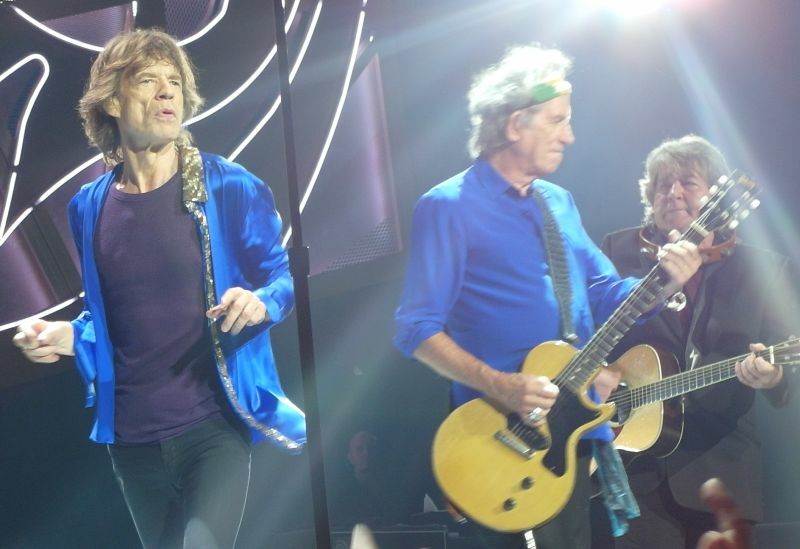 In fact Melbourne has been Stones territory for 49 years still counting. They first came here January 1965 and 49 and a half year later they do still rock Melbourne like in the old days. The papers here are full of horserace reports and high heal "Ascot style" girls with nice hats, but on page three in the local paper "Herald Sun", there is space for a concert report still. 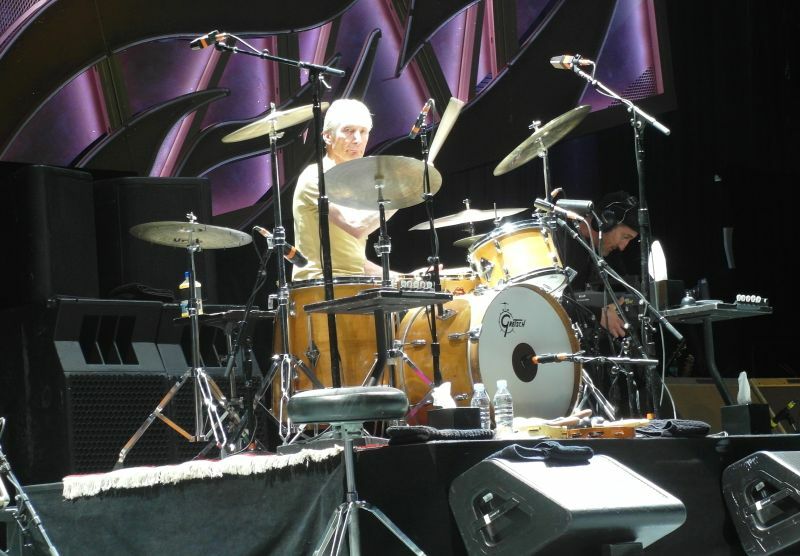 They say: "The way they tore through a two hour set drawn from their 50-plus-year career would suggest there is plenty of life in the old dogs yet." 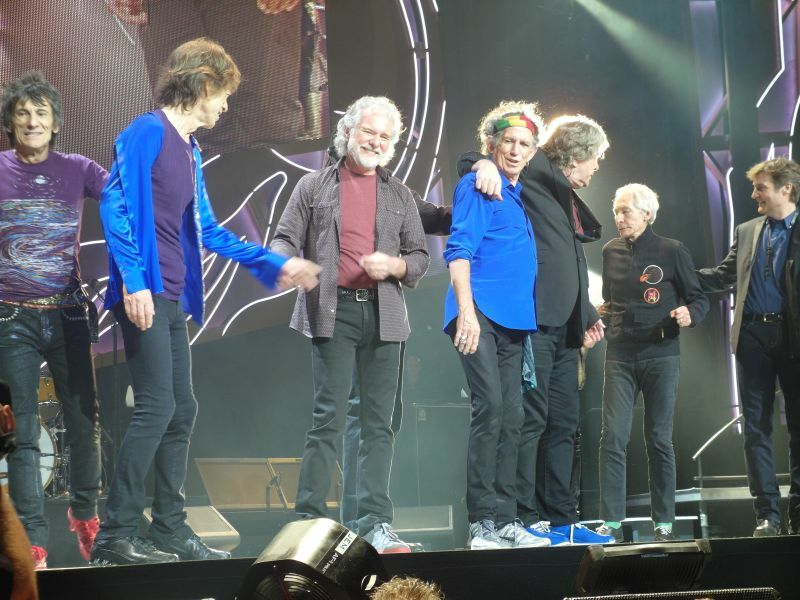 I had spend the past two days following my arrival from Perth into Melbourne touring the places the Stones have been visiting in the Melbourne area over their 50+ years career. It is impressive to see that first of all these great places do still exist, including the theatre they played in 1965 and 1966, as mentioned by Mick on stage during the show tonight, but also there are so many great fans here. Well I should have known it. The Melbourne fans flew into Adelaide too, and they came to Perth, and they will be at Hanging Rock, and for sure they will travel up to Sydney. 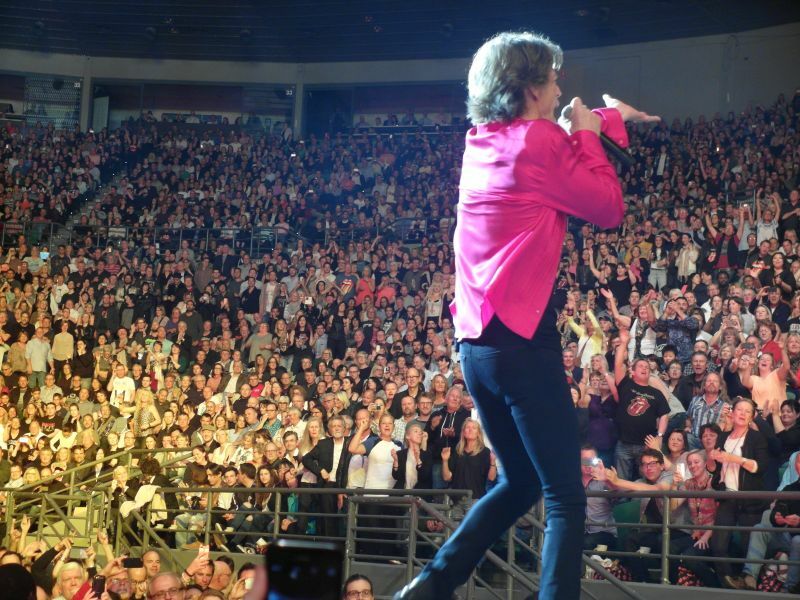 Melbourne is Stones town for sure! And the intimate venue proved this by a great crowd and a great show indeed. Brown Sugar. Ronnie and Keith at their favorite positions in front of Charlie. 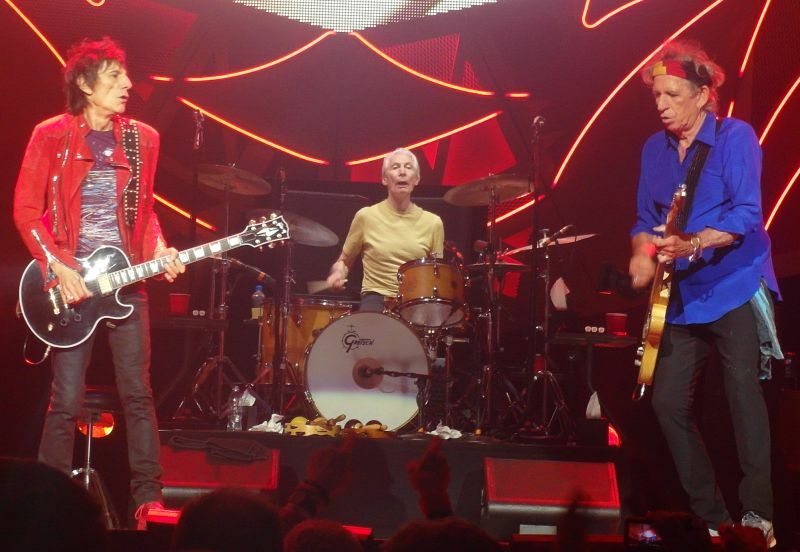 You would be lucky to see Mick with them, that would only happen when they get to the high intensity of a few songs. Right now Mick is out on the toungre runway pleasing the fans. Well guess who is here! 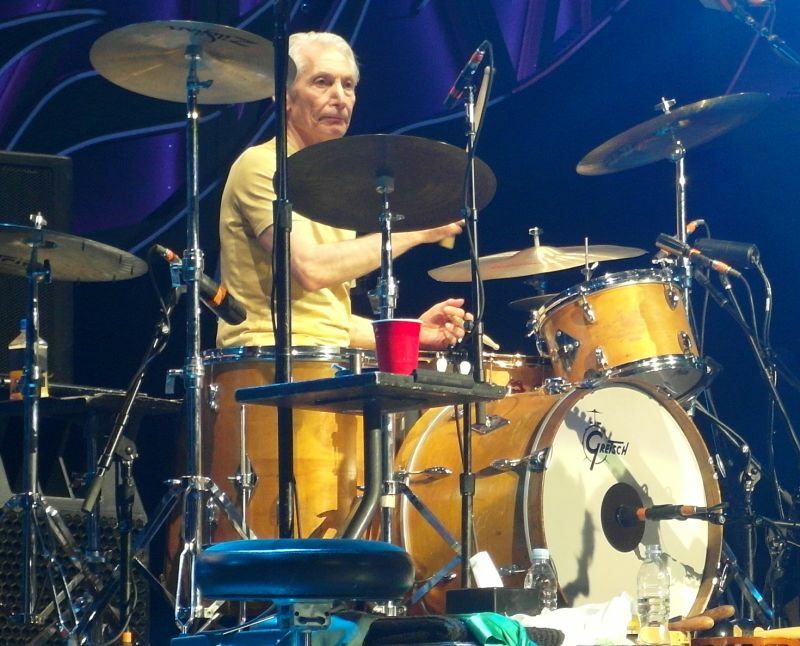 Next moment, as we talk, Mick is back with the band, they are now all together in front of Charlie. But it won't be long. How I love Brown Sugar. It is a great song, and luickily they play it at every show. Every show! But very soon Mick will say "Thank you and goodnight", I still remember the feeling in the crowd when Mick sait it here, it was a sad moment. Even if there were two more songs to go, it was like the Melbourne crowd was not ready for the final yet! You Can't Always Get What You Want. Mick has got the hat and you can barely see his eyes. Ronnie has got a moment when he is not that busy, he will do his solo later on. Charlie is having a big laugh, and Keith is enjoying himself by playing the guitar, strong, as he has been doing all through the show. (I Can't Get No) Satisfaction... Guess who is running the show... 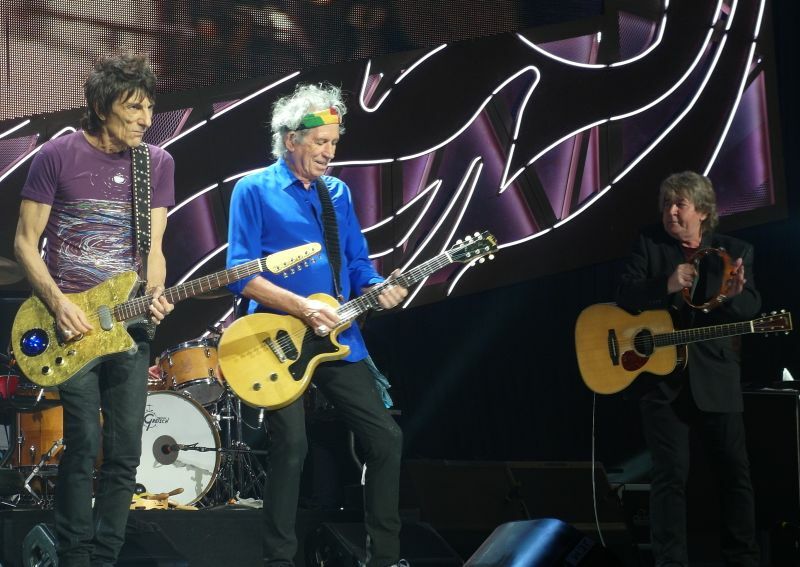 This is early on in the song, Mick Taylor is still in thedre with Keith. He will eventually move over to play with Darryl. 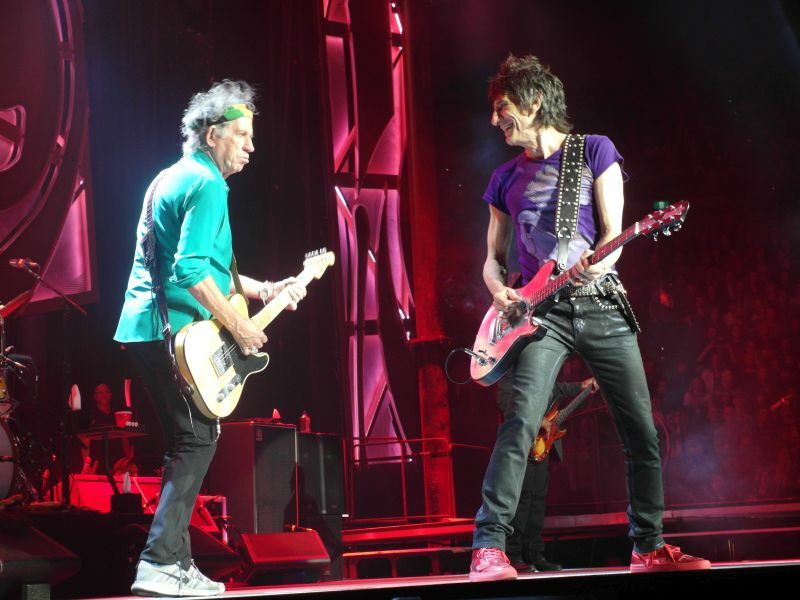 Ronnie is still full of energy and is waving his hand while playing, while Keith is all concentrated on the Satisfaction riffs. 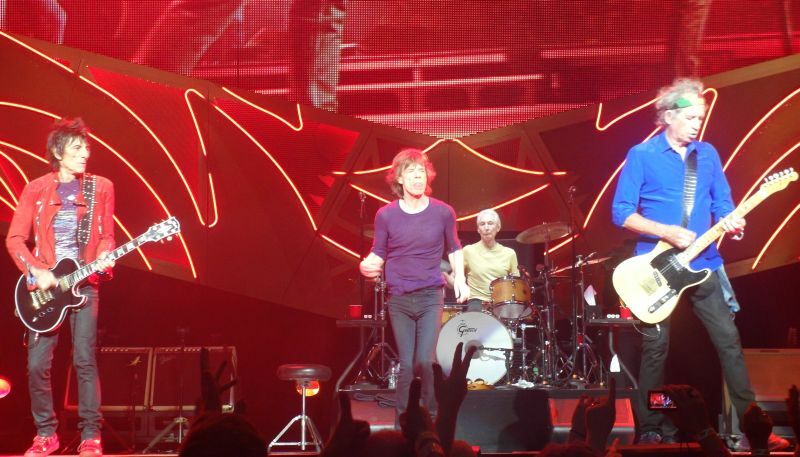 Mick is back, the stage is all lights, the power is at max level and we will soon have the final bow. 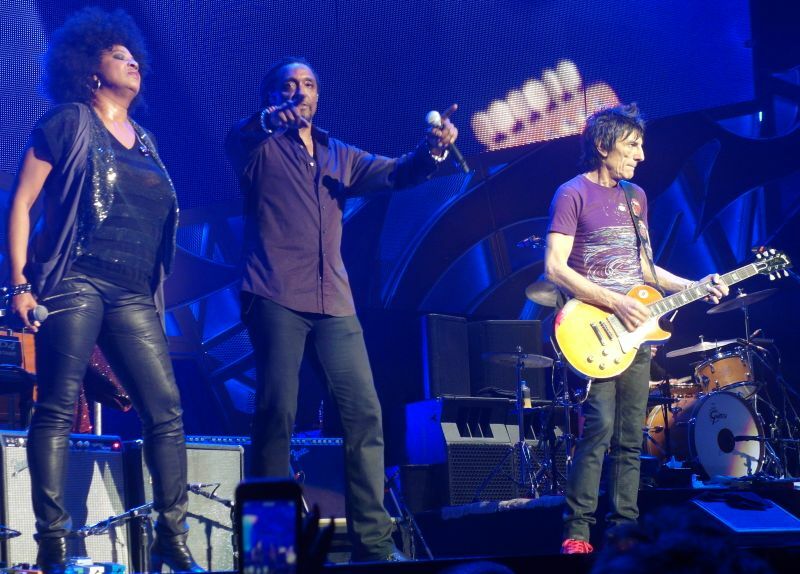 But we got a lot of Satisfaction tonight in Melbourne! I am an original. The same age as Mick and Keith. I used to see them at Eel Pie Island and the Richmond Hotel (Crawdaddy Club) back in 1963 when Brian Jones was the leader and founder and Ian Stewart was the actual sixth Stone. I was in Hyde Park in 1969 for the free concert. Since then, family and career meant that my Stones obsession was put to one side but I did see them in 1973 at Randwick Racecourse in Sydney. 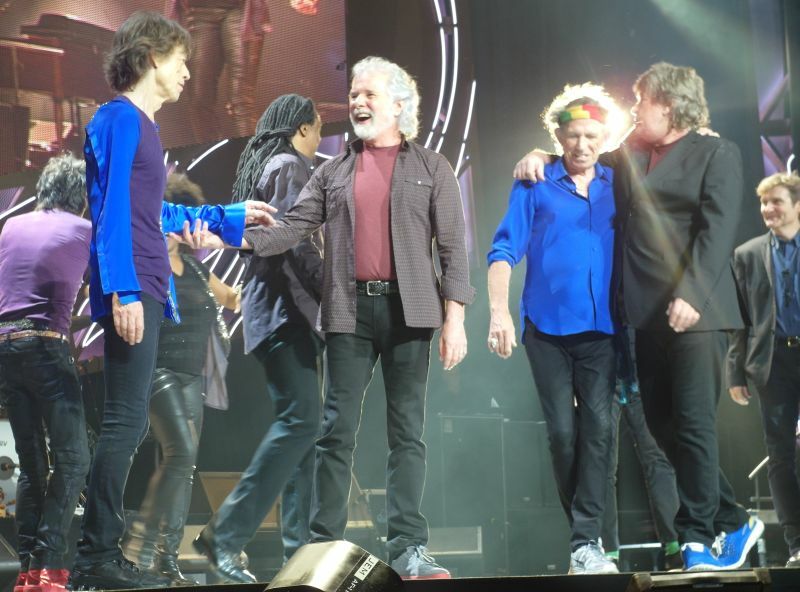 But since retiring, I have stepped up my interest and managed to see them in Brisbane on the Licks Tour (terrible venue to be avoided), Newark,NJ, in December 2012 and at Hyde Park(not free this time!) last year with my daughter and son-in-law. I missed Dusseldorf with my brother-in-law due to a serious car accident but I have just returned home to Brisbane after seeing the boys perform at Rod Laver Arena in Melbourne. What energy these guys have. From the start with 'Jumping Jack Flash' through to what has become a formulaic encore with a local choir backing 'YCAGWYW' and ending with the classic 'Satisfaction', it's high octane stuff. They never displayed this much energy in the sixties! I did feel that Mick was not quite right on the night. A few times he allowed Lisa and Bernard to continue with the backing vocals while he gave his vocal chords a rest. An omen of things to come. 'Street Fighting Man' was great and should be a staple in my opinion. I always feel that the two-song set for Keith is a downer. 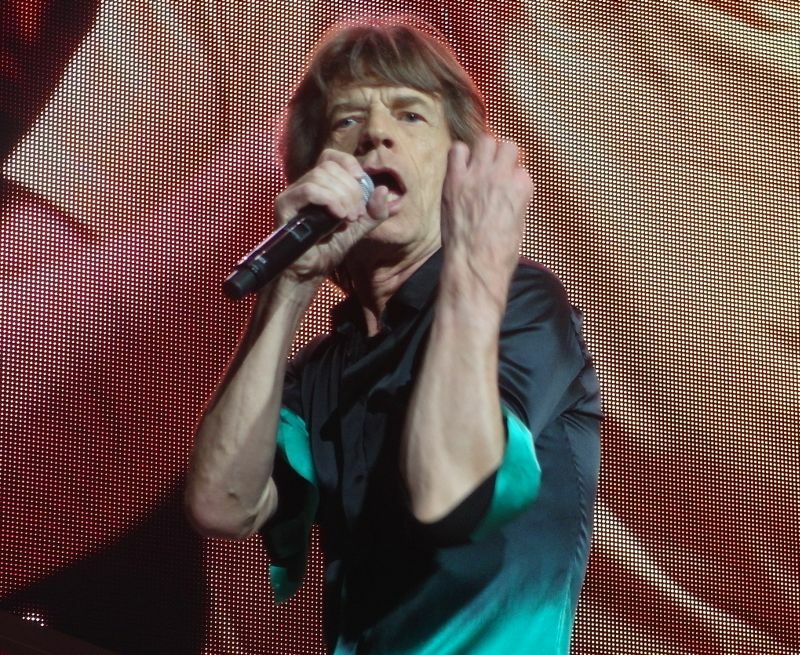 He did his best number in 'Happy' at Rod Laver but the best live performances of that song, in my humble opinion, were in the 70s when Mick did back-up vocals, just as he did on the album version. 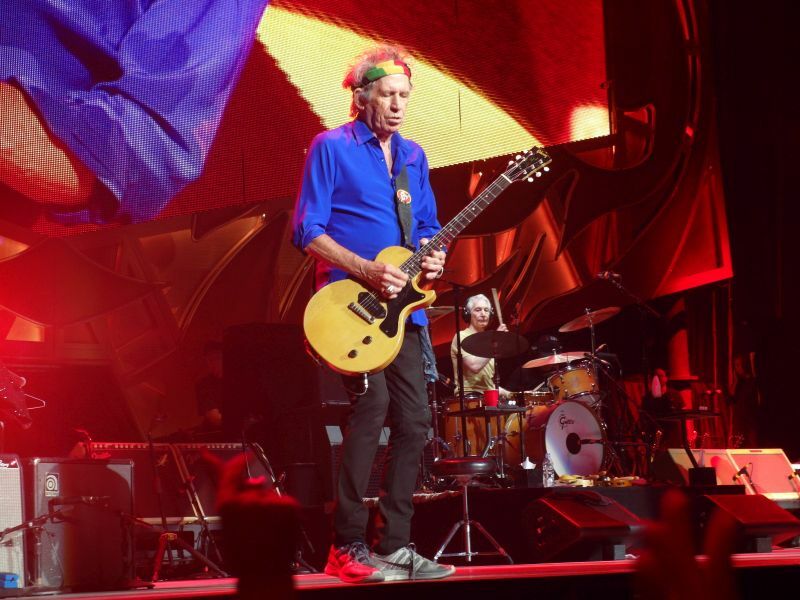 Keith still does some backing vocals on Mick's numbers so why not have Mick on 'Happy'? 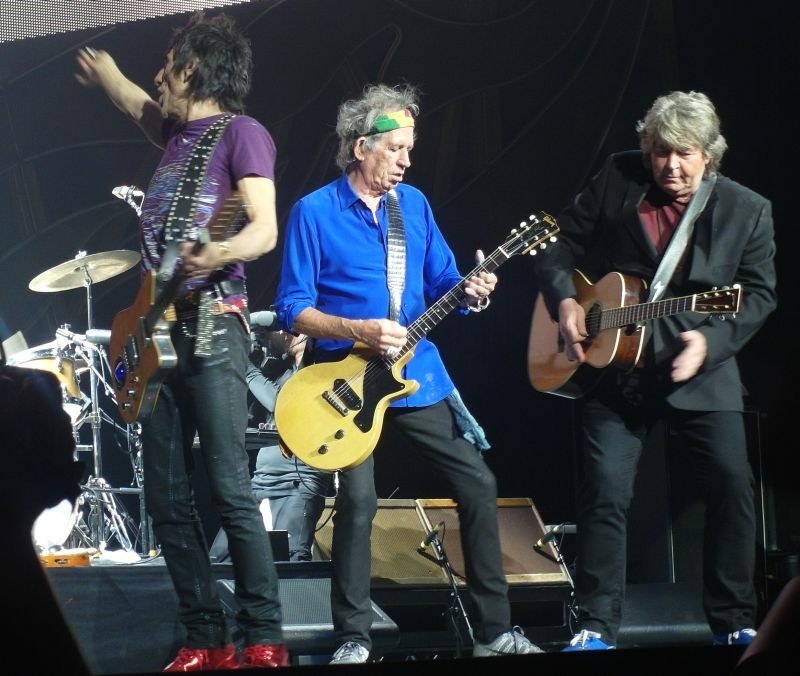 Long after the Stones have turned up their toes, nobody will remember the band for any of Keith's tracks but they will remember many of the oustanding contributions made by Mick Taylor. I wonder why he no longer takes a bow with the other four guys at the concert's end? Why doesn't he get to play on several other numbers? And Karl Denson is a much better sax player than Bobby Keys but let's hope that Bobby will be well enough to resume his place. He's become a part of the furniture! Overall a fantastic show and we left the venue on a high. Two days later we were down in the dumps when we heard that Hanging Rock was cancelled. Never mind, we have tickets for Hope Estate in the Hunter Valley north of Sydney next Saturday. It's going to be a severe case of mixed emotions because for us it could well be the last time! 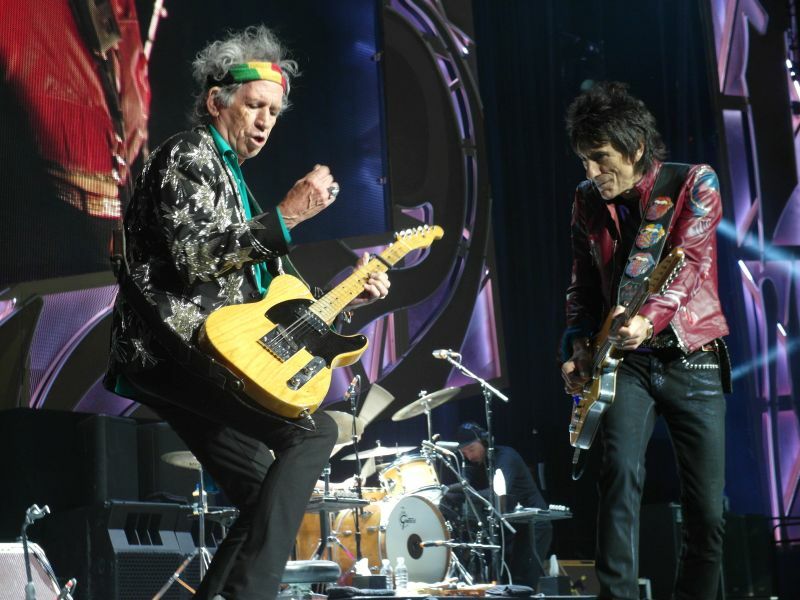 Thanks guys for more than 50 years of music and irreverence!